Notes: These do not need to be touch and go reps, just reset as quickly as possible. 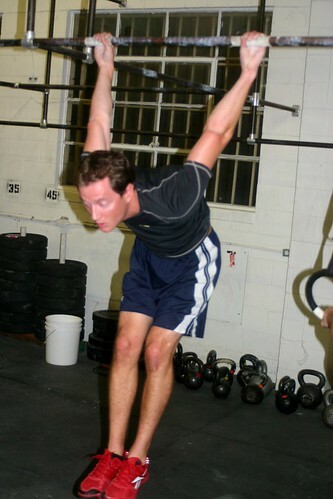 Notes: Work hard to maintain a perfect hollow body position throughout the pullup and avoid any swinging! German Hang (left) and German Stretch (right). Remember to keep those shoulders active! Since starting the business, I have been on a quest to become more organized and get better at scheduling my life. My whole life, I lived under the idea that I didn’t want to schedule my life, but rather live spontaneously! Well, now that life has offered up more than a few reasons that this may not be the most effective or best way to live my life, I am struggling to change. Last week, I randomly asked Sandy Hill if she had any tips or apps she used to help schedule and organize her day and she sent me this interesting article in response. The next day I went out to the store and bought myself notecards and a space pen! The point behind this story is that I am still trying to figure my life out and struggle with seemingly simple tasks. For many of you, making your health, fitness and nutrition a priority is a struggle. 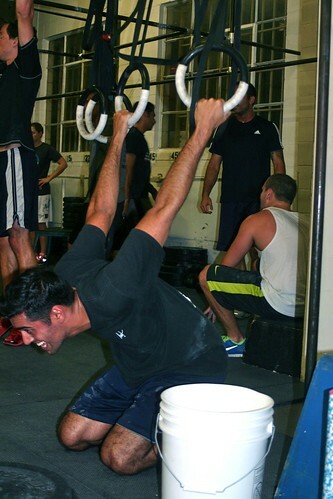 And when you look at me, the coaches or other veteran CrossFitters, you get frustrated. But guess what? We are just like you! About a year ago, because of the common misconceptions about who I am and my athletic background, I wrote a 5 part story of how I came to own a gym (read the long version HERE). I took my desire to live a long healthy life, began making small changes that over time became more permanent lifestyle changes. I use this journey and these experiences to help guide what we do in the gym and develop our philosophy. We use the saying in the gym “Everything is Everything” to explain that all movement is connected, but I also believe that this idea can be applied to every aspect of our lives. We know that our Health and Fitness is not simply just showing up to the gym, but all the things in between. We all have to start somewhere. Look for more discussions and posts about our experiences as we update the coaches bio’s this week and introduce you to some new coaches! Congrats to McCoy for his very respectable placing at the Outlaw Open this weekend! And I was envious about your spontaneous lifestyle. With School, Family, and Crossfit, I was forced to become more organized in order to try to fit it all in - I could understand that it's not an easy transition. I change my schedule every week or daily depending on what I have accomplished or what is due. It's really hard to have a full proof schedule unless you have an assistant that can keep you on track. It's all about prioritizing and chipping away at the long list of life items. It also helps to reward yourself whenever you get things done. It gives you something to look forward to. Even if it's simple as giving yourself a lazy day.